If you’re an online gun store and have been thinking about starting a Pay-Per-Click (PPC) advertising campaign, I have some unfortunate news for you. Google, Youtube, Facebook, and most other popular channels for PPC advertising have all banned legitimate businesses from advertising firearms, related products, and ammunition on their platform. …and so on. This has made it difficult for small to medium sized business owners to take advantage of all the lucrative opportunities online advertising has to offer. However, all is not lost. 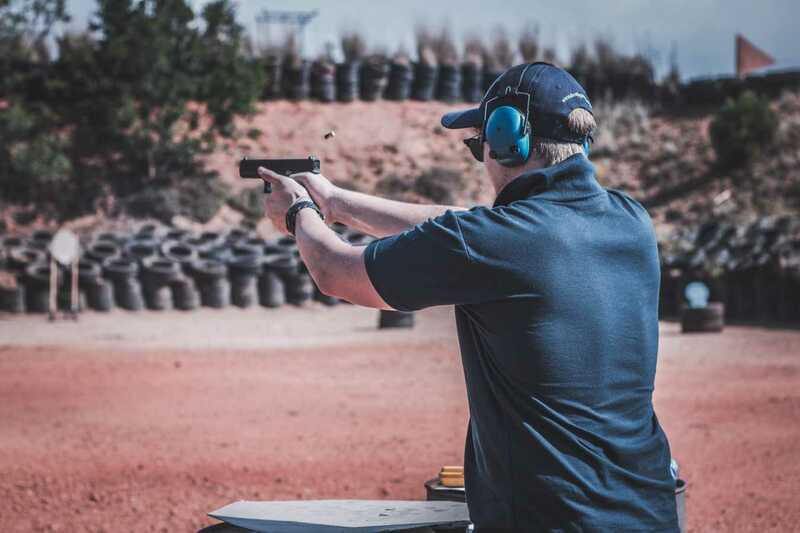 While gun shops and online firearm dealers can’t use PPC, there are many other channels and strategies that can be just effective (or more) than PPC Advertising. Optimum7 has helped eCommerce store owners navigate complex markets and grow their online business for over 12 years. We know how to reach your target audience and improve online sales. …and more. Not sure where to start? Our team of expert strategists and developers will listen to your goals and needs and work with you to create a strategy that makes sense for your business. Why Can’t Online Gun Stores Use Facebook Ads, Google Ads, or PPC Advertising? Despite other precautionary regulations being in place for online gun retailers, many online platforms do not allow paid advertising in a PPC model. …as well as ads promoting the brandishing of weapons. However, there are a few exceptions and work arounds that allow you to take advantage of Facebook for marketing. Blogs and Facebook groups are still permitted under Facebook’s ad policy. This can be a good way to have your content seen by your target audience. In addition, safety courses, mounted flashlights, scopes, and protective clothing are all allowed to be advertised. Why Does Google Ads Not Allow Guns? Google classifies firearms under “dangerous products or services” and restricts eCommerce firearm retailers on many different aspects. Google does allow ads for gun parts and items that increase the safety of a gun, including gun locks, trigger locks, safety pins, and chamber blocks. Ads for “functional devices that appear to discharge a projectile at a high velocity.” This includes handguns, rifles, shotguns, functioning antique guns, as well as bb guns and paintball guns. Any PPC ad that promote “any part or component, whether finished or unfinished, that’s essential to or enhances the functionality of a gun,” including ammunition, silencers, stocks, grips, scopes, and other accessories. Does This Mean Marketing on Facebook or Google is not an Option? No. Google and Facebook are two of the most popular and commonly visited websites in the world. While you can’t create paid advertisements, there are still ways to take advantage of these channels to promote your online business. In fact, some of these alternative strategies can be more profitable and effective than PPC advertising all together! We’ll discuss how and why in the next section below. SEO, or search engine optimization, is an online marketing strategy that seeks to improve a website’s position in search engines for terms and keywords that are relevant to their business. Today’s consumer loves doing online research before they make a purchase. More often than not, the first place they go is a search engine like Google. Maybe they’re ready to make a purchase and will search for something like “buy Sig Sauer online”, or maybe they’re still looking for information and might search for “top rated handguns 2019”, etc. SEO identifies which keywords are profitable for your business and improves your ranking for those keywords through a number of on-site and off-site optimizations. This allows you to position your business in front of an audience who has already shown interest in your products and is coming to you for advice, information, or ready to make a purchase. You can make your business known to potential customers while they are still early in the research phase of the buyer’s journey. …of online experiences begin with a search engine. …of first-impressions are design related. While not necessarily a marketing strategy, a well-designed website is one of your most important marketing assets. Your website is your online business representative and 24-hour sales representative. If your website looks at all outdated, slow, or is hard or confusing to navigate, it won’t matter how many visitors you send to your site. A bad website signals to your audience that your site may not be trust worthy and you will lose customers to a website with a better user experience. Often, when business owners want to increase sales, they focus on growing their web traffic. But are you making the most of your current web traffic? Conversion optimization focuses on increasing your average order volume, customer lifetime value, and the rate at which your online traffic converts into actual paying customers. You don’t have to run expensive PPC ads to market your products and services through social media channels like Facebook, Instagram, Twitter, and others. By growing a relevant following and creating high-quality content, you can promote your business without ever having to pay for a click or list a price on your website. Social media marketing is an effective way of growing your brand awareness, but only if done so strategically. You can spend thousands of dollars growing your followers and creating content without seeing an impact on your sales. On the same note, you can also see an incredible ROI if you leverage social media correctly. The secret to Social Media Marketing lies in creating a funnel that regularly engages your audience and encourages them to make purchase and become reoccurring customers. …of people online use Facebook. Reach out to us today and our team of experts will work with you to form a strategy that makes sense for your business.